A Saltford scheme is aiming to match garden owners with would-be gardeners to address the lack of available allotment space in the village. With long waiting lists for allotment plots in the area, the initiative tackles the problem by teaming up people with space to share with those who want to get digging and growing. Paul Pearce runs the Gardenshare scheme, organised by Saltford Environment Group, and says he currently has around six gardens on his list just waiting for someone to get started. 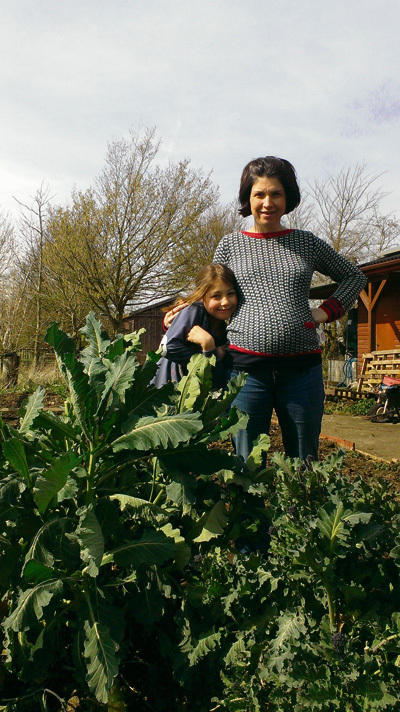 After more than two years on the allotment waiting list, Paul now tends a garden owned by Saltford resident Murielle Shipper, the village’s first Gardensharer, splitting the work and the crops with her and her family. He said: “It works really well to share the workload – for example, I will perhaps do the weeding and longer stints at the weekends while Murielle keeps it watered every day. It’s more than just sharing a garden as I’ve made a really good friend in the village. Would-be gardeners are matched with garden owners based on details such as the size of the garden, location and what they want to grow and then are introduced via the scheme. If both are happy, they sign a simple tenancy agreement and the gardener is asked to get some public liability insurance before getting to work. To find out more about Saltford’s Gardenshare scheme, contact Paul on 07872 028947, email razting@hotmail.com or visit www.saltfordenvironment group.org.uk.